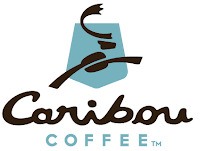 Fargo Moorhead Cash Wise locations double coupons everyday up to $1! Coupons less than $0.50 double their face value automatically. Coupons with a face value from $0.50-$0.99 double to be worth $1, and coupons with a face value higher than $1 are accepted at face value. 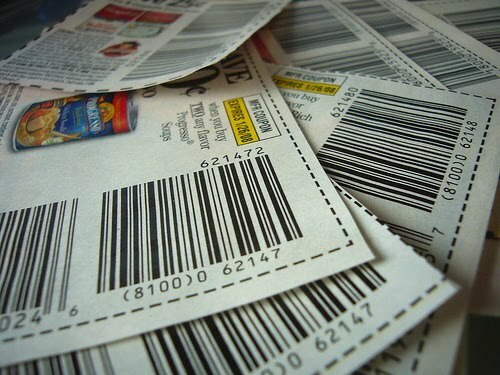 Cash Wise does not accept internet printable coupons for "Free" products. Read Cash Wise's full coupon policy here. Stores in North Dakota are not permitted to accept coupons for cottage cheese, sour cream, milk, and some yogurts. Food Club Cereal, 12.25 oz Honey Nut Toasted Oats or 12 oz Crisp Rice FREE with $30 purchase and Cash Wise in store coupon! Food Club Taco and Fajita Seasoning Mix $0.25 with coupon from the 8 Weeks of Savings Coupon Mailer (Limit 2)! Food Club Tortillas, 10-12 ct $0.88 with coupon from the 8 Weeks of Savings Coupon Mailer (Limit 2)! 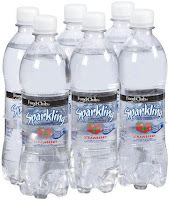 Final price: as low as $1.41 each! Wow, 4 inserts in the Sunday Star Tribune! Look for a SmartSource, a Red Plum, a P&G and a Pepsi insert. 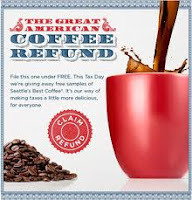 Plus, look for a coupon for a FREE Starbucks Refresher (sparkling flavored water drink) in the Pepsi insert! The Sunday Star Tribune costs $2, or look for the St. Paul Pioneer Press sold in MN for only $1, though the inserts can be a bit smaller than in the Star. Head over to the Olive Garden's Facebook page to find several offers available right now! Just click "Get Offer" and you'll be emailed the coupon! Limit 1 per visit. Thanks Melissa and Totally Target! FREE Pretzel Thursday 4/26 at Pretzelmaker! 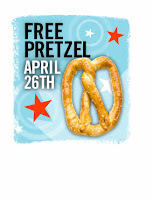 If you're headed to the mall on Thursday, be sure to stop by Pretzelmaker and sing or dance for a FREE Pretzel in honor of National Pretzel Day! Limit 1 per customer. If you aren't sure about singing... you can just mention National Pretzel Day and you'll receive your FREE salted or unsalted pretzel. Reminder: Coupon Swap this Saturday 4/28! Don’t forget about our upcoming Get Together + Coupon Swap, this Saturday 4/28 from 10-Noon in the Food Court at the West Acres Mall! Hope to see you there! Sunbelt Granola Bars, 8-12 oz FREE with $30 purchase and Cash Wise in store coupon! Final price: as low as $0.58! Final price: $1.79 for both, only $0.90 each! Crystal Farms Cheese Shreds, 8 oz varieties $1.17 each when you buy 2 with Cash Wise in store coupon! Food Club Bleach, 96 oz $0.98 with the Cash Wise in store coupon (Limit 2)! 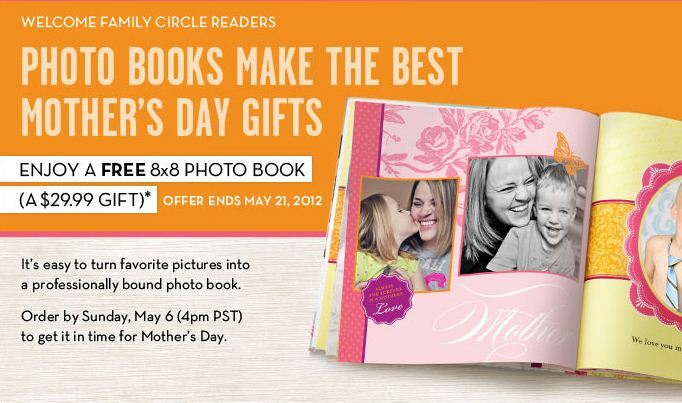 FREE 8x8 Shutterfly Photo Book! Head over to Shutterfly and register or sign in using this link to request your code for a FREE 8x8 Photo Book! You pay shipping, which I've found to be around $8. The offer ends 5/21. To receive your book in time for Mother's Day, order by 5/6! FREE $2 Credit at Amazon MP3! 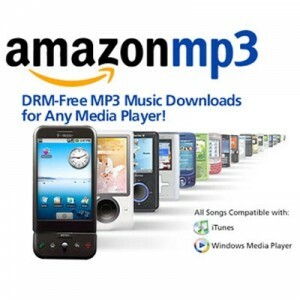 Through tonight, use the code MOMROCKS to get a FREE $2 Amazon MP3 Credit! Use the credit to download FREE songs or use it toward the purchase of an album! Expires tonight 4/22! FREE 2 oz Lotion at Bath and Body Works Today! Head over to the Bath and Body Works Facebook page and click on "Get Offer" and you'll be emailed a coupon for a FREE 2 oz Malibu Heat Lotion! Good through today 4/22 only! 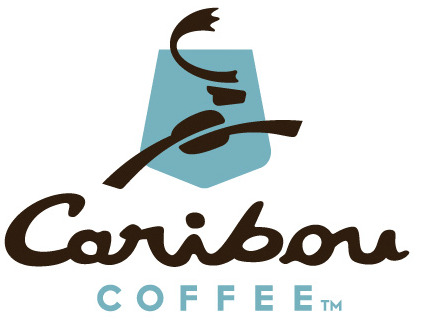 Free coffee at Caribou Coffee when you bring a reusable mug today, 4/22! As far as I can tell, no coupon is necessary! Limit 1 per person, up to 24 oz each. Happy Earth Day! Does anyone know of more earth day deals happening locally? Only one insert this weekend in your Sunday Star Tribune papers, but the good news is that it's a SmartSource insert! The SmartSource insert typically shows up in the Saturday Star as well for only $1! If you're out and find the SmartSource in today's paper, would you comment to let us know? If not, The Sunday Star costs $2, or look for the St. Paul Pioneer Press sold in MN for only $1, though the inserts are smaller than in the Star. 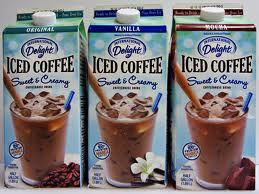 High Value Iced Coffee Coupon for Vocalpoint Members! If you're not a member, register instead of signing in and you should be able to request the coupon by mail as well! Dave Ramsey is offering a FREE Audio Download of his children's book The Super Red Racer: Junior Discovers Work through 4/22! Sounds like a great book for teaching children about work and earning money. Great Deal on a Custom Photo Canvas! Hint: Mother's Day is Soon! Canvas People is offering an awesome deal on a 16 x 20 Photo Canvas! Turn your own photo into custom wall art on a 16 x 20 photo canvas for only $37 shipped! I've ordered one of these from Canvas People before (in the 8 x 10 size) and the only thing I wished I'd done differently is order a larger one! Order now through April 30th for delivery in time for Mother's day! New SunMart 8 Weeks of Savings Coupon Flyer! Did you get the new SunMart 8 Weeks of Savings Flyer? It was included in the 4/15 Sunday Fargo Forum. It sure seems like whenever Cash Wise has a coupon flyer, so does SunMart and vice versa. Whatever the reason, I'll take it! Since these are SunMart store coupons, you can stack with manufacturer's coupons when they are available for the same items and save even more! Didn't get a Forum yesterday? Be sure to ask next time you're at SunMart as they occasionally keep extras at the service desk. Or, since it was included with our local paper ask friends and family to pass them along if they get the paper but won't use them! Thanks to reader Jen for tip and the picture! "Like" Vidalia Onions on Facebook for a $0.50 off coupon! I've never seen a coupon like this before, and it is valid on any minimum of 5 lbs loose or bagged Vidalia Onions! 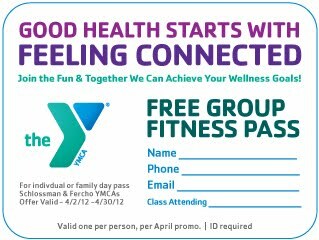 YMCA Cass Clay: FREE Day Pass! 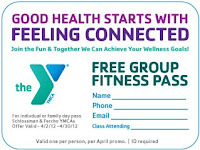 Get a FREE Individual or Family Day Pass to the Fercho or Schlossman YMCA! One per person, expires 4/30. Get your scissors ready and look for 2 SmartSource inserts and a Red Plum insert in your Sunday Star Tribune papers this week. The Sunday Star costs $2, or look for the St. Paul Pioneer Press sold in MN for only $1, though the inserts are smaller than in the Star. Samples Galore! Stayfree, Carefree, Zevia and More! What other samples are available? Leave a comment if you know of any others! Look what came in the mail this week! Did anyone else get a new Cash Wise 8 Weeks of Savings Coupon Mailer in the mail? Yes, it's sitting on top of my FREE Domino's Artisan Pizza (won on Facebook!)... it was a great day! 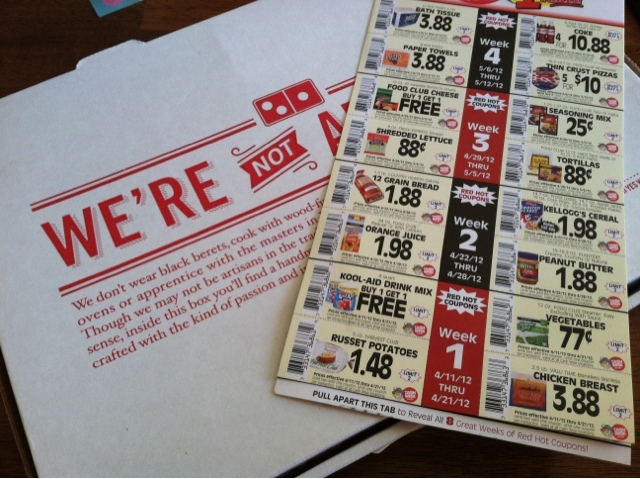 I love these mailers because they are Cash Wise store coupons and can be stacked with Manufacturer's coupons for even more savings! If you didn't receive one in the mail, it's always worth asking at the Customer Service counter to see if they have extras! FREE 20 Issue Subscription to Family Fun Magazine! Hurry over here to request your FREE 20 issue subscription to Family Fun Magazine! You own't receive a bill, this is a completely FREE offer! I've received magazines from Value Mags before without any issues. I like receiving this magazine for it's cute ideas, plus of course it usually contains coupons! 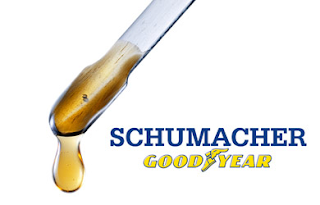 Save Coin: $44 for 5 Oil Changes at Schumacher Goodyear is Back! Save Coin's HOT deal on Oil Changes is back! Get a punch card good for 5 oil changes at Schumacher Goodyear in Fargo (13th Ave and I-29) for only $44! I know several people who bought this deal last time it was available and have had nothing but great reviews of Schumacher's work and service, not to mention the price is right at only $8.80 per oil change! After your purchase, your Save Coin voucher will be emailed to you. Redeem the Save Coin for the punch card by September 30th, and the punch card never expires! Buy up to 2 per person, this offer is good through today, Friday 4/13 only! I'm thinking these would make great practical gifts as well! New to Save Coin? Sign up here to get started! Get a significant discount on dining out, entertainment, retail services and more when you buy a Save Coin voucher! Each offer is only available to purchase for only a day or two, but the vouchers are valid through the expiration date stated on the purchase page. Save Coin vouchers are a great way to stretch your eating out dollars, clothing dollars and so much more! SunMart locations in the Fargo Moorhead area double coupons everyday up to $1. Coupons less than $0.50 double their face value automatically. 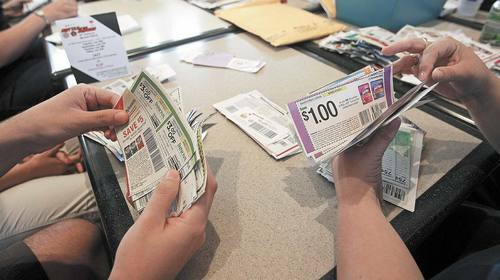 Coupons with a face value from $0.50-$0.99 double to be worth $1, and coupons with a face value higher than $1 are accepted at face value. To see SunMart's full coupon policy, head over here. Like paying about $2.49 for a small 17.9 oz bottle, so not bad! Final price: $4.99, like paying $1.25 per 8 oz block or bag! Final price: as low as $0.19! 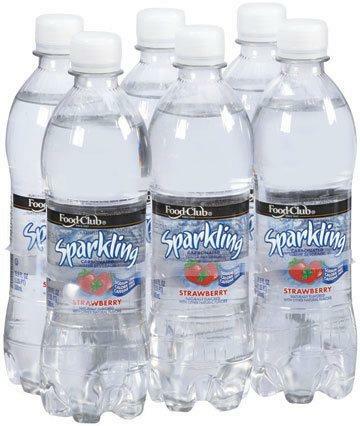 Head over to "like" Cash Wise on Facebook and print a coupon for a FREE 6 pack of Food Club Sparkling Water with any additional $5 purchase! Coupon valid through 4/14. Kemps Orange Juice, Half Gallon FREE with $30 purchase and in store Cash Wise coupon! Fresh Sweet Corn $0.33 each! Cash Wise Hamburger Buns, 8 ct $0.88! Our Family Butter, 1 lb $1.99! Final price: as low as $0.65! HOT! $5 for a $10 Starbucks Gift Card! 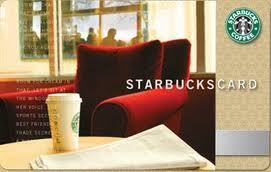 Hurry over to Google Offers, where you can snag a $10 Starbucks Gift Card for only $5, today only! This is an e-gift card, so you can print it out or add it to another gift card if you already have one registered. I'm sure this will sell out very quickly, so hurry if you're interested! Eileen's Jelly Beans, 18-20 oz FREE with $30 purchase and Cash Wise in store coupon! If you were already planning to buy $4 worth of produce, it would be like getting these cereals for as little as $0.33 each! Final price: as low as $3.03! 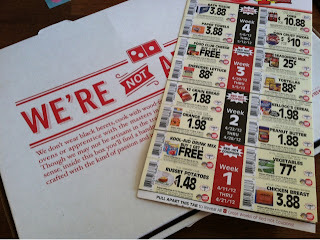 If you still have any of the Kraft Shredded Cheese printables from Coupons.com, use them to sweeten the deal! A good price, even without coupons!